At the beginning of this month, I announced that I would be hosting Food 'n Flix with my chosen feature Kung Fu Panda (1 and/or 2). 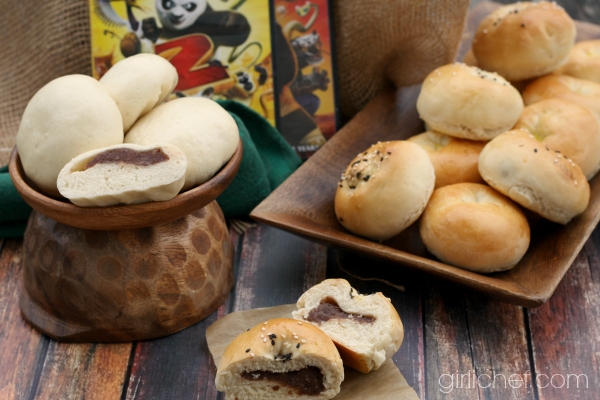 If you haven't seen either Kung Fu Panda, you may not realize how much of a foodie's delight they are. As the result of growing up watching Kung Fu and so many great old Kung Fu movies, it's a double bonus - Food + Kung Fu! I could go on...it's great for the whole family, it's pretty darn funny, and it has a positive message or two to share underneath it all. I'm not ashamed to admit that it's a favorite of mine, and that I've seen it countless times since it's also a favorite of my youngest son. But, on to the food. At the heart of the movies lie noodles. Po's father, and his father before him, run a noodle shop. His father expects him to follow in his footsteps, but Po has a bigger dream and it concerns kung fu. But Po loves to eat, so he can be witnessed stuffing his mouth with bean buns, flying through the air to grab dumplings, climbing counters and cabinets to reach the cookies, and even enjoying radishes. After consulting with the kids on what they thought I should make, it was a draw between noodles and bean buns. There's a fantastic noodle-making demonstration with Alton Brown and an amazing noodle chef in the dvd special features on part one. It amazes me every time I watch it. I'm determined to try making my own noodles in that method one day, but that day wasn't today. Instead, I opted for bean buns. 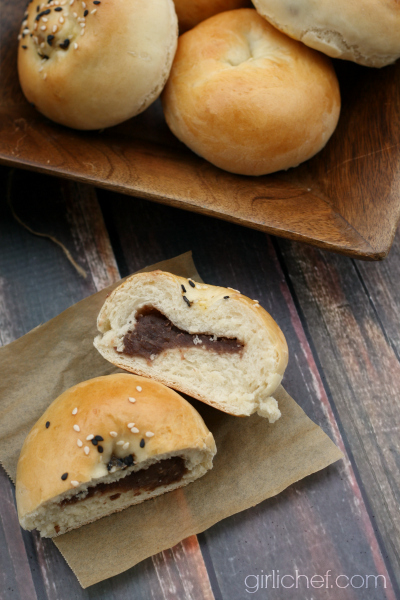 Sweet red bean buns, to be exact. Kung Fu Panda 2 starts off with chatter from some kids talking about the awesomeness of the new Dragon Warrior (ie Po). As they tell the story, you hear a pounding, a pulsing in the background, and they say "you can hear the Dragon Warrior training now". The voices of the Furious Five (Tigress, Monkey, Crane, Viper, Mantis) urging Po on, and the wonder in their voices at the feat that he is accomplishing - stuffing 38 (and then 40) bean buns in his mouth to break the record! Since we had never tried bean buns before, and as probably any kid who's seen the movie feels, my son wanted to see how many bean buns he could stuff into his own mouth at once. Oh the disappointed when he realized that the answer would be ONE. Barely. I decided to make then two ways - burnished and golden like the ones that Po is eating, but also steamed, as I'd never actually eaten steamed buns before and really wanted to try them. 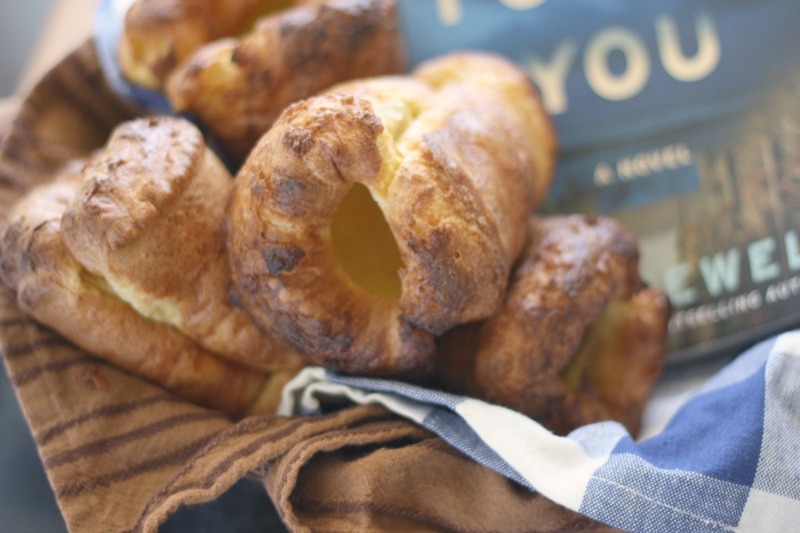 The baked ones were the all-around favorite in our house, but I found something about the chewy steamed ones oddly addicting. It must have been the texture, as it was so different from the bread that I'm used to. All around, a very fun experiment. The sweet bean center reminds me of a Mexican bean candy that I make sometimes, Dulce de Frijol. 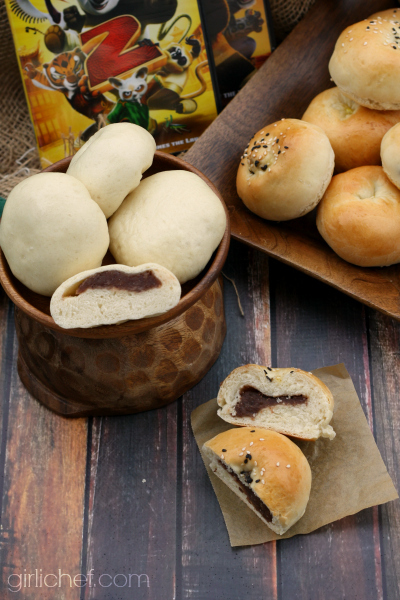 Chinese buns stuffed with a sweet red bean paste, then cooked two ways: steamed or baked. Rinse and pick through the beans. Place into a medium-sized bowl or container and cover with water by about 2 inches. Cover and let soak overnight (at least 8 hours). Drain and rinse. Place beans in a medium-sized pot and cover with water by a few inches. Bring to a boil, reduce any scum that comes to the surface, lower heat a bit and simmer gently under the beans are entirely tender, about 1 hour or so. At this point there should be minimal liquid remaining; what's there should be mostly bean-thickened and saucy now. Remove from heat. Transfer beans to the bowl of a food processor (bringing in a little of the thickened liquid is fine). Process until smooth. 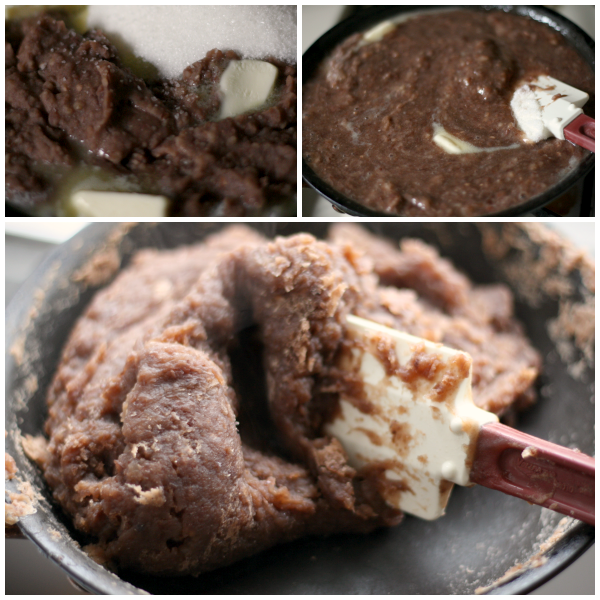 Transfer the puree to a medium-sized non-stick skillet and add the butter, sugar, and salt. Bubble and cook over low heat, stirring often, until the bean paste has become thick and pliable and the excess moisture has evaporated (you should be able to "fold" it over and onto itself), ~30 minutes. Transfer paste to a tray or bowl and allow to cool. Cover and refrigerate until ready to use (up to 1 week refrigerated or 1 month in freezer). Dissolve sugar and yeast in the water in a small bowl, let sit until foamy, 5 minutes or so. Combine flour, baking powder, and salt in a large bowl. Add shortening and yeast mixture and use a wooden spoon to bring everything together. Turn out onto a floured work space and knead until the dough is smooth and pliable, 10 minutes or so. Alternately you could do the mixing and kneading in a bread machine or stand mixer using dough hook attachment. Form dough into a ball and place in a lightly oiled bowl; cover with plastic wrap. Let sit in a warm place and allow to rise until almost tripled in size, 90 minutes or so. Cut 24 squares (~2-1/2") of parchment paper; set aside. Turn dough out onto work surface and knead a few times, until elastic. Divide dough in quarters; keep dough that you're not working with covered with plastic wrap so that it will not dry out. 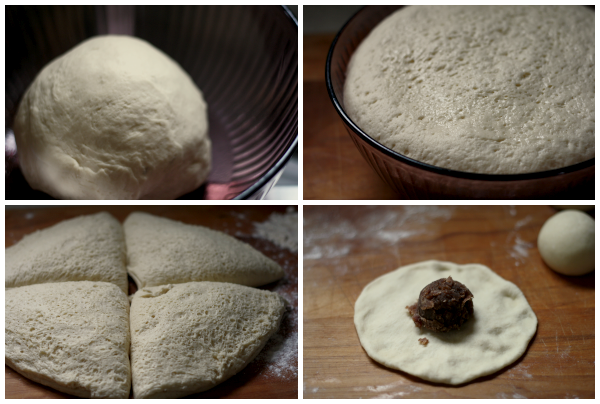 Divide each quarter of the dough into 6 pieces. Roll each piece into a ball, then flatten into a disc. Pinch the outer inch of the dough thinner than the center. 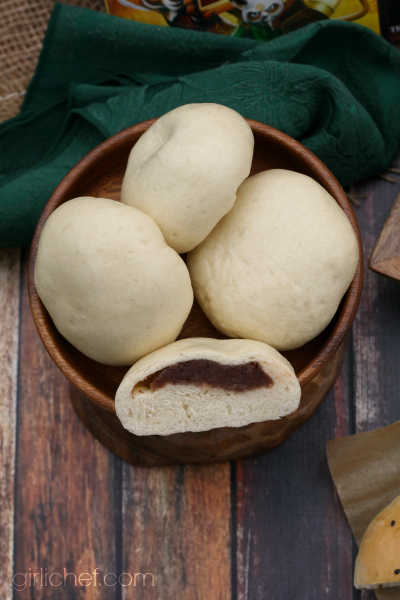 Place a 1/2 ounce portion (1 tablespoon) of cold sweet bean paste into the center of each portion of dough. Lift and pleat the edges of the dough all the way around, then twist and pinch them together to close the ball (pinch off any excess dough). Set the dough onto a square of prepared parchment paper, seam side down. Repeat until all the dough is used. Let rest for 20 minutes or so. In the meantime, put a pot filled with a couple of inches of water (for steaming) on to boil, and prepare a steamer basket. Set rested buns, parchment square and all, into the steamer, leaving 2" of space between them for expansion. You'll probably need to do this in batches. Set steamer over boiling pot and steam each batch for 15-18 minutes (watch your water level and refill as needed for subsequent batches). Serve immediately! Beat together the egg and water to form an egg wash. Use the back of a small measuring spoon to slightly indent the center of each bun. Brush with egg wash. Cover with plastic wrap and let rest for 45 minutes. 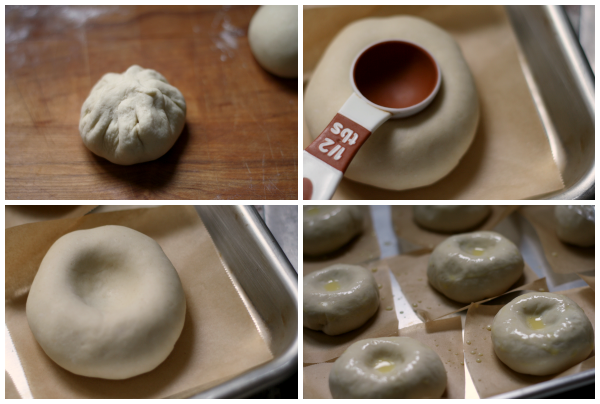 Preheat oven to 375° F. Brush the buns with egg wash once again, and if you like, sprinkle them with some sesame seeds. Slide into preheated oven and bake for 15-18 minutes, or until golden. 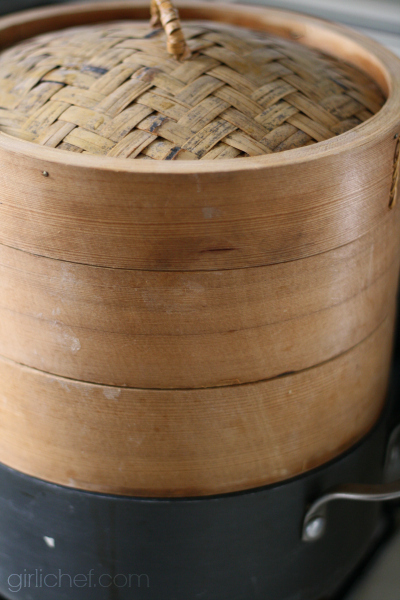 You can store the cooled steamed buns in an airtight container in the refrigerator for up to a week. 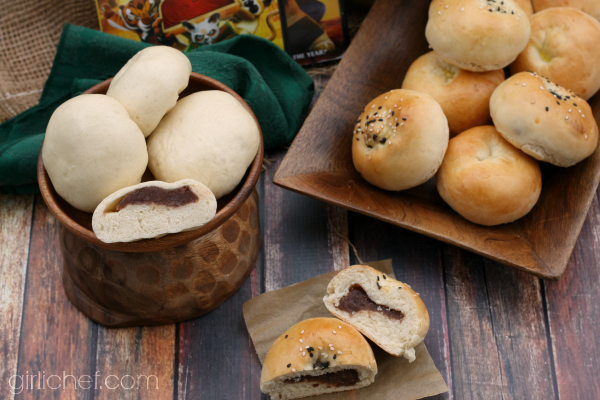 Store the baked buns in a covered container at room temperature for a few days. Reheat by steaming for a few minutes, or covered in the microwave. Can be frozen and reheated in the same manner. You could substitute 2 (14-15 ounce) cans cooked azuki (or other) beans, drained in the bean paste recipe OR just use 2 cans of pre-made sweet red bean paste. Now, on to a very inspired round-up to complement my bean buns. 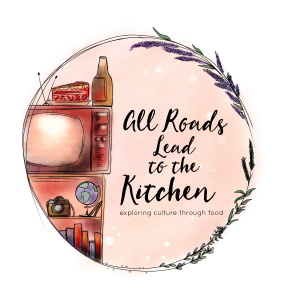 Since I am hosting Food 'n Flix this month, that means that it's time to see what Kung Fu Panda inspired the other participants to make. 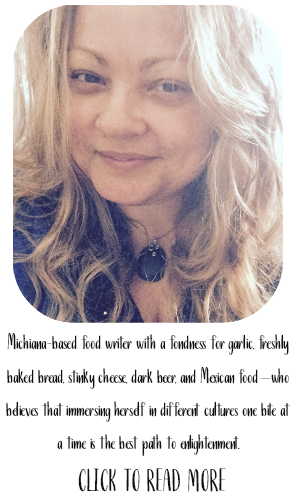 Get ready, because it's a fun mix of all of those foodie elements that I mentioned earlier! Camilla from Culinary Adventures with Camilla has boys, too, and just like at my house, there was talk of mouth-stuffing. 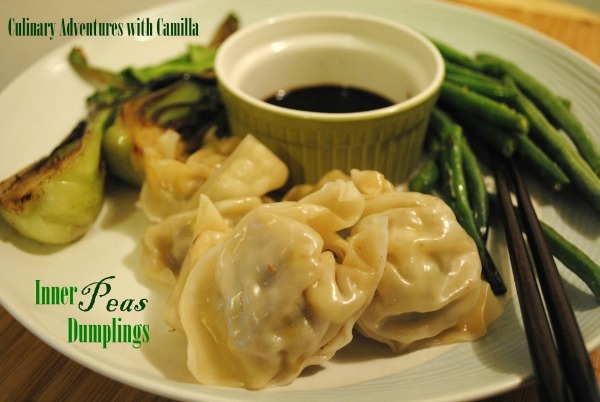 Instead, she made these cleverly named Inner Peas Dumplings, drawing inspiration from one of the underlying themes in the movie. Drawing inspiration from Mr. Ping's "something and nothing" secret ingredient, Caroline from Caroline Makes is bringing us her very own Secret Ingredient Noodle Stir Fry. Can you guess what her secret ingredient is? Next up is Evelyne from Cheap Ethnic Eatz. After watching part 2, she was inspired to take on the challenge of radishes, in honor of the crate of radishes in which Mr. Ping finds Po as a baby. 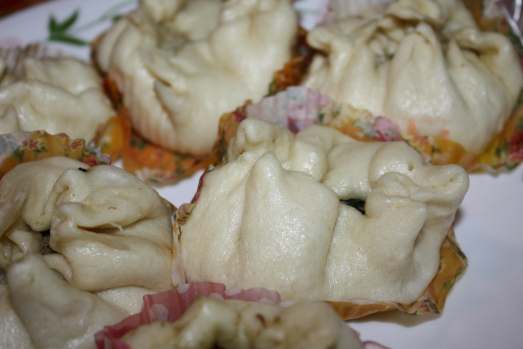 She didn't stop there, she also made dumplings - drop by to see her Dim Sum with Shumai and Law Bok Gow! 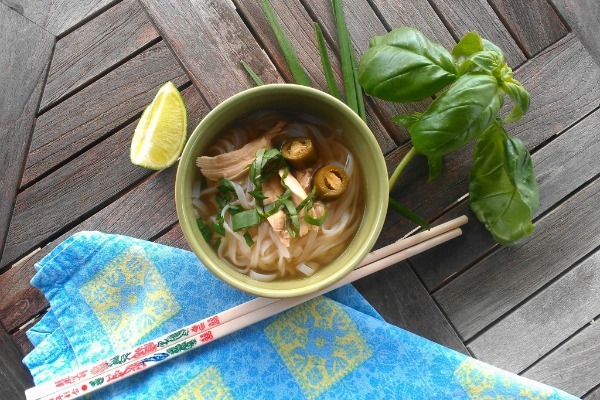 Debra at Eliot's Eats decided to return to Po's humble beginnings and dreams of the Furious Five while living above his family's noodle shop with this tempting bowl of Furious Five-Spice Noodle Soup. Furious Five. Five-Spice. Get it? Very clever, Debra. 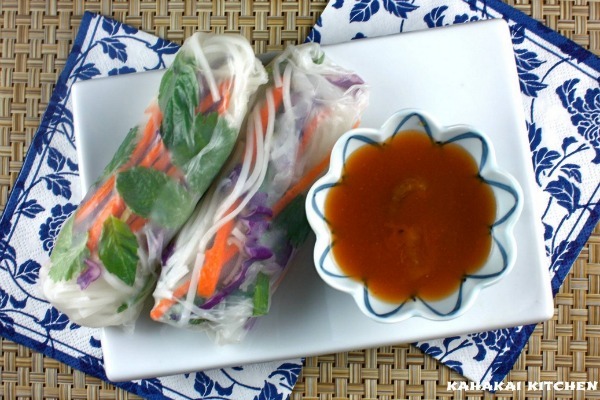 Although not Chinese, these Noodly Veggie Rolls with Spicy "Sacred Peach" Dipping Sauce from Deb at Kahakai Kitchen, are an Asian-influenced dish inspired by noodles of course, and the midnight 'snack' of peaches Po eats off of the "Sacred Peach Tree of Heavenly Wisdom". 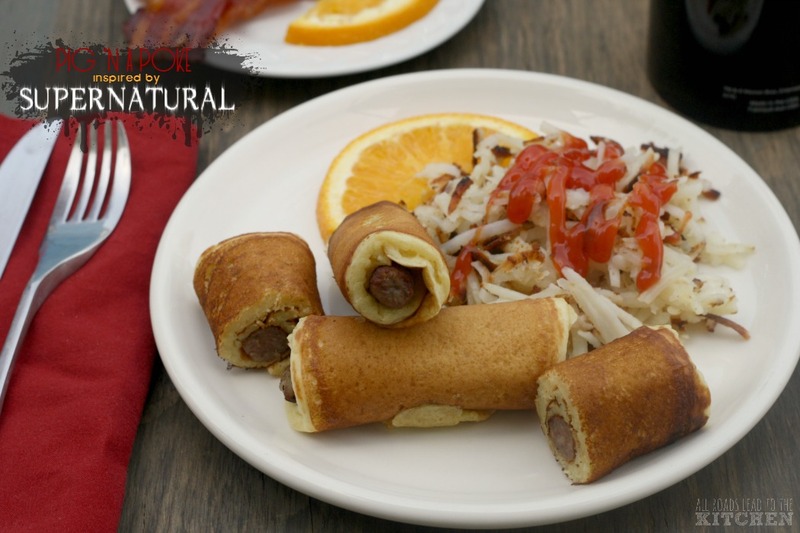 It's a very good thing that there is "no charge for awesomeness", because awesome is exactly what I thought these amazing dishes were. Thanks so much to all of the creative ladies who joined me (indulged me?) 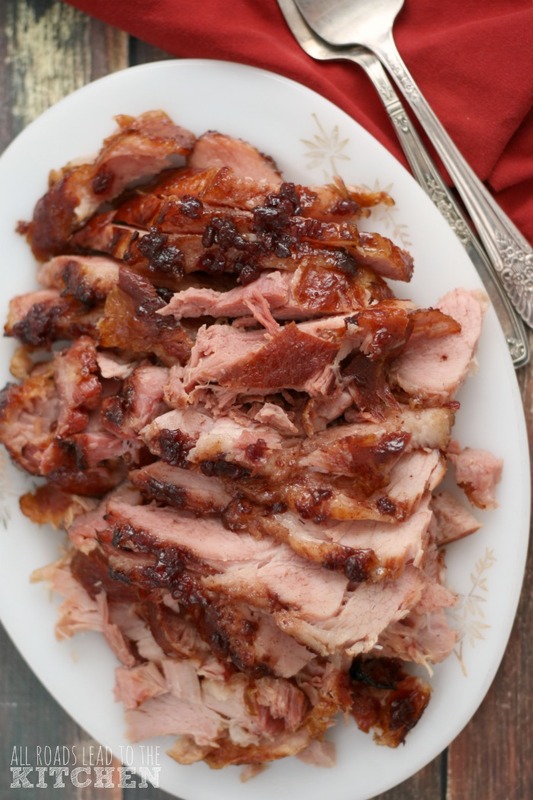 in watching Kung Fu Panda this month - I wish I could try each and every one of your dishes! 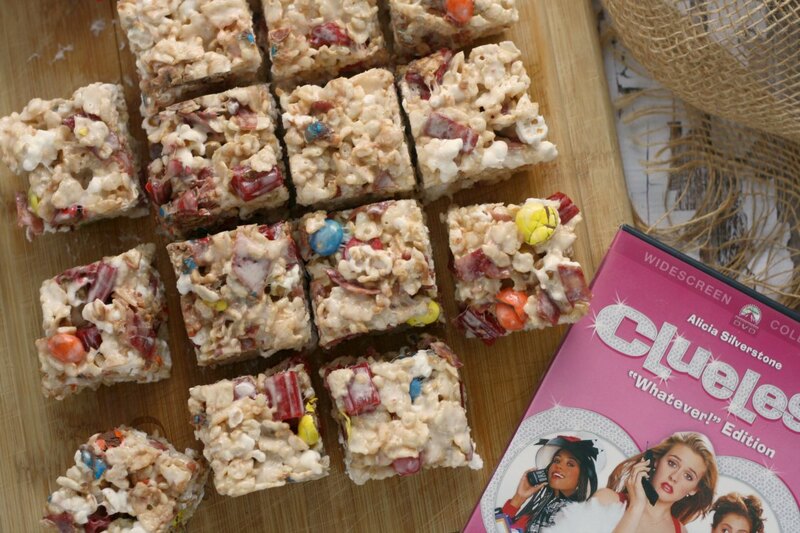 If you want to join us for the next round of Food 'n Flix, our host for next month is Evelyne at Cheap Ethnic Eatz, with her flick pick - Bridesmaids. Put on your thinking caps, get ready to laugh, and keep an eye out for some kitchen inspiration!